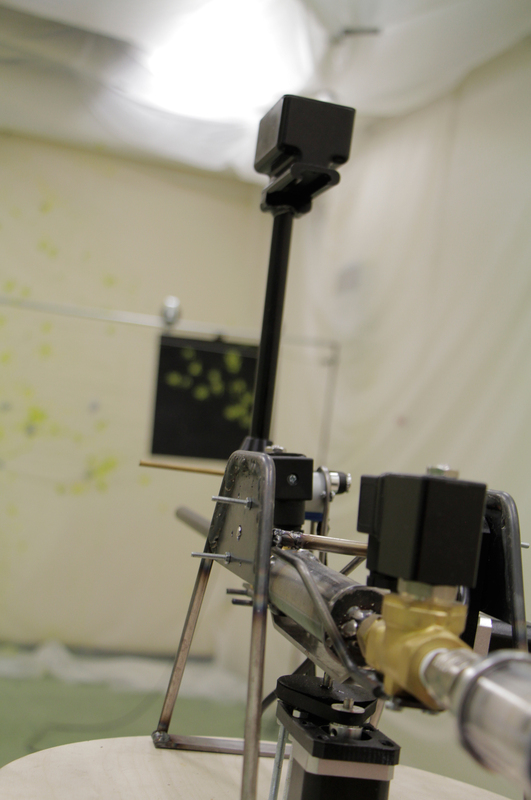 TEST 0 is a installation running on machine learning. 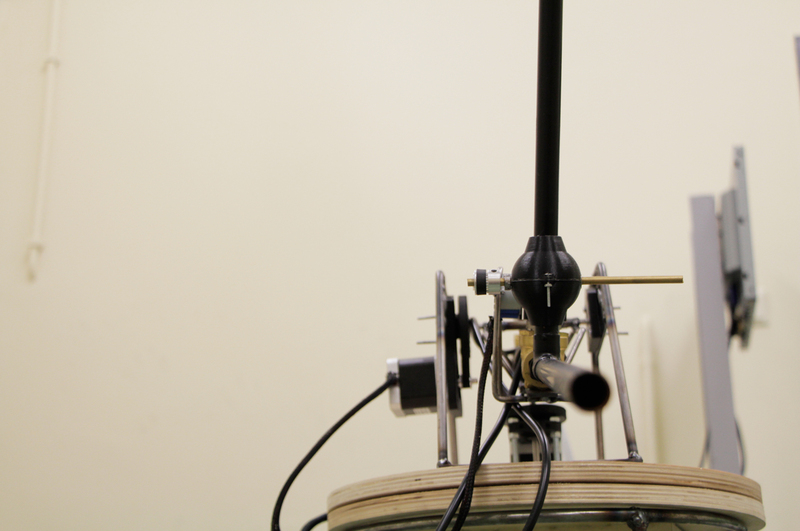 The installation consists of four crucial parts. 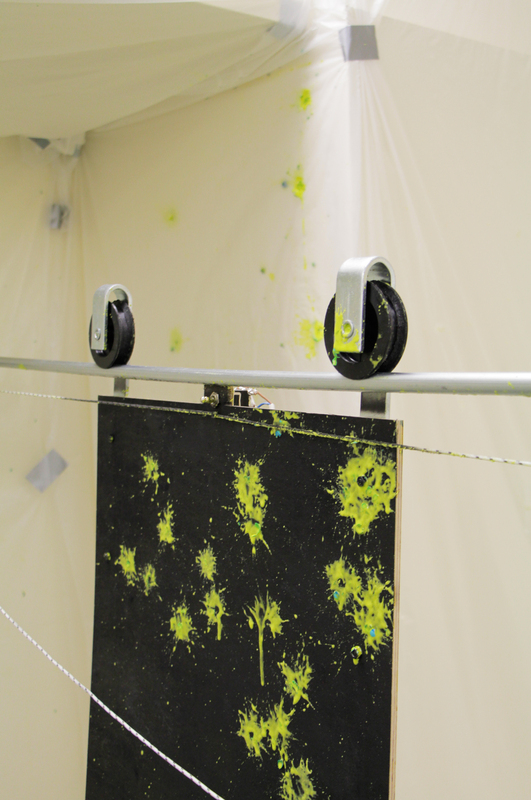 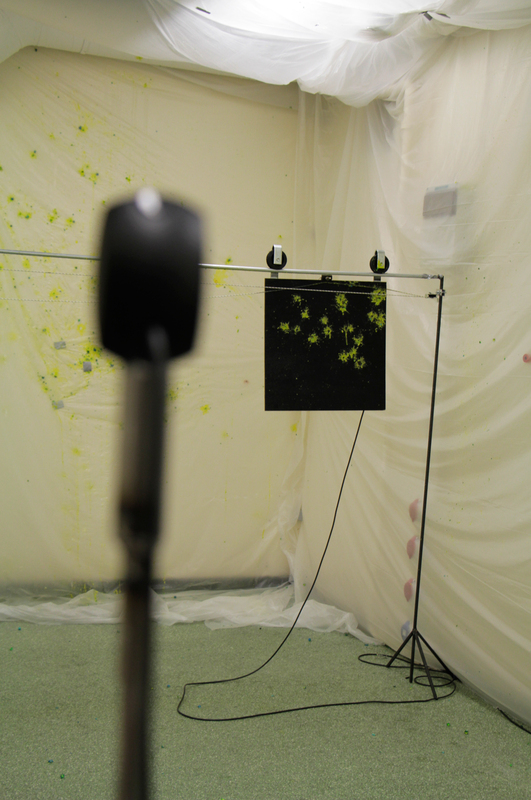 A paintball gun, a target, two camera's and a machine learning algorithm. 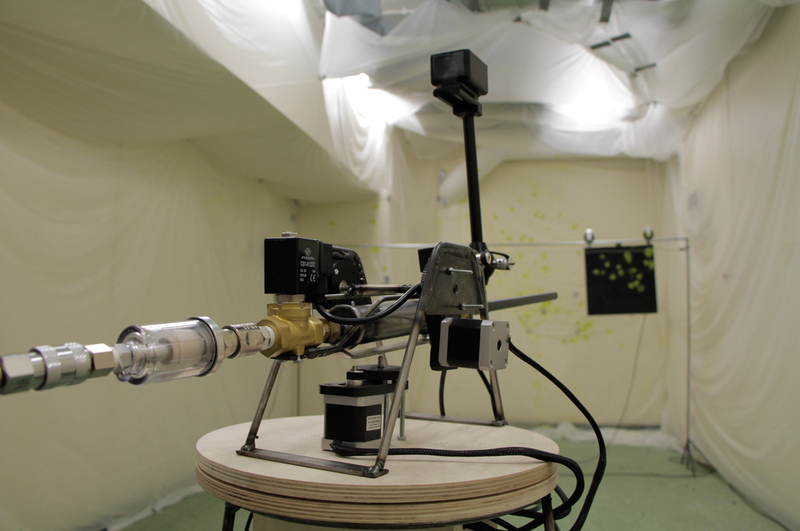 The algorithm learns itself to hit the target by retraining every time the gun hits the target.